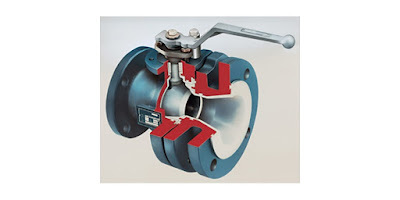 Lined valves of all types have an isolating layer of material that keeps the media from contacting the valve body, maybe even the valve trim itself. The purpose of the lining is generally to extend the useful life of the valve by eliminating the corrosive effect that may be imparted by media on the valve construction. Lined valves, with no exception I can think of, will have metal bodies. The lining can be any of a number of materials that will be selected based upon resistance to degradation by the process media under consideration. Lined ball valves deliver the performance of conventional ball valves, coupled with the corrosion protection afforded by an appropriate lining material. Options for the ball configuration are available to meet throttling or other requirements. Automation can be accomplished via a range of means. For more information, share your valve and automation challenges with application specialists and leverage your own knowledge and experience with their product application expertise.